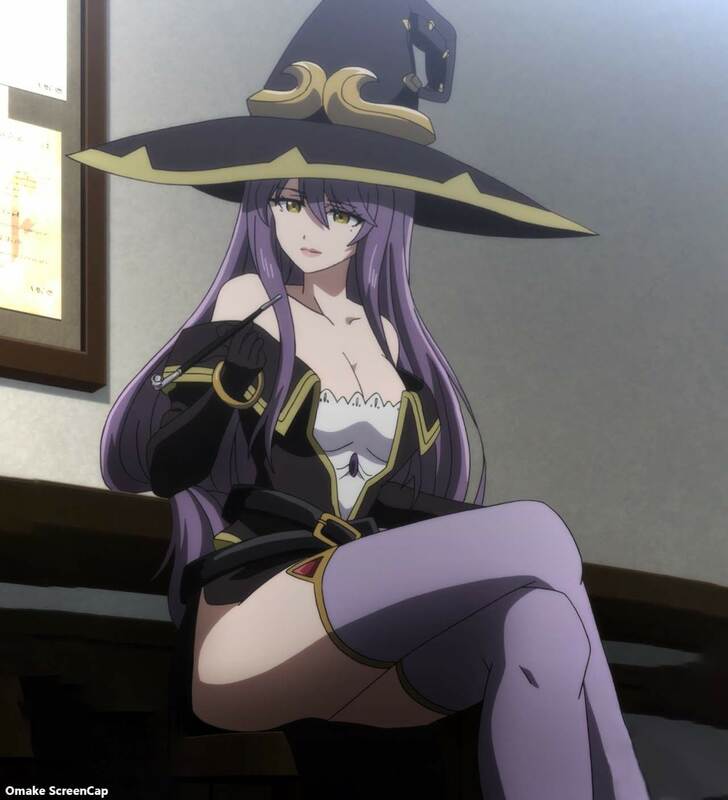 Witch has quite the playful side as she counsels Priestess in party dynamics, especially in the difficulty in dealing with Goblin Slayer. 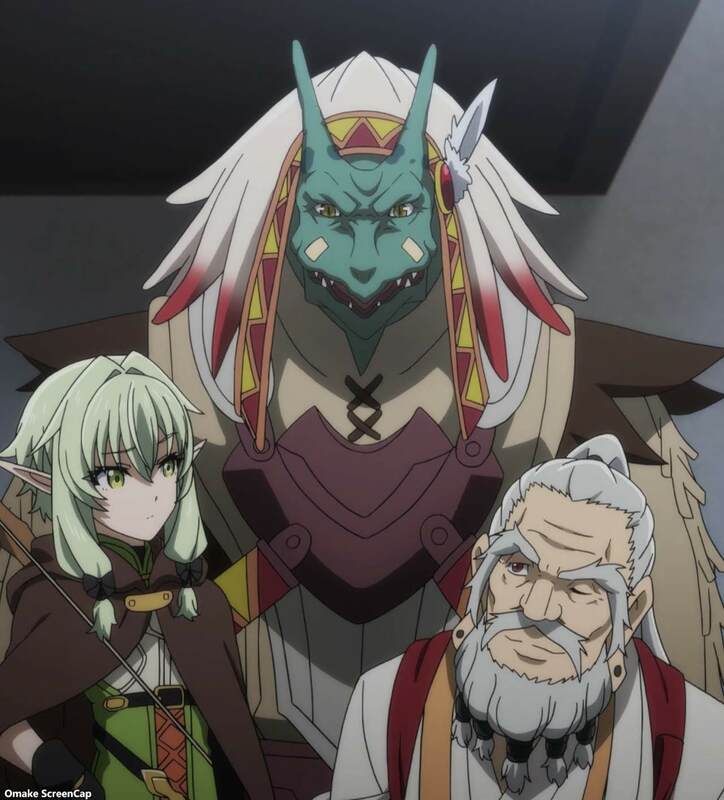 This unlikely trio of High Elf, Dwarf, and Lizardman want to hire Goblin Slayer to, uh, slay goblins. He doesn't care about why, as long as he gets to slay goblins. The much more experienced Witch (and she has a geisha pipe, so also that kind of experience) had a small talk with Priestess about deciding what she wants to do in quests and how to express that to other people. That's easier said than done with the laconic Goblin Slayer, but it can be done. 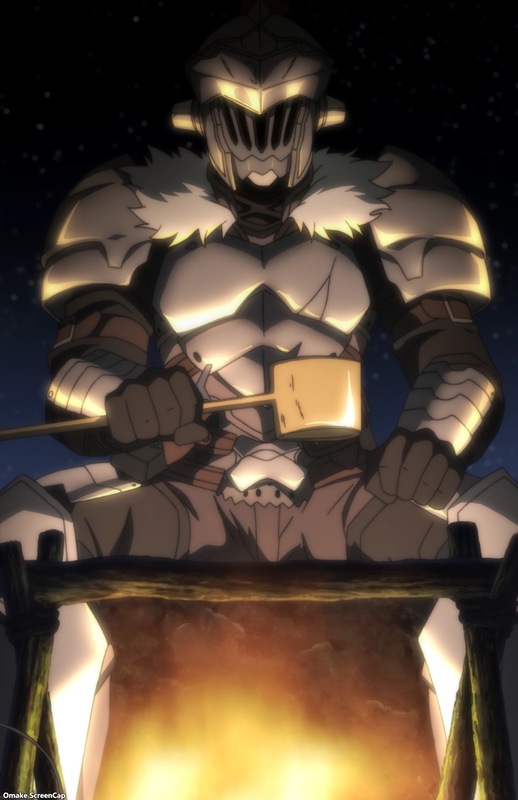 The highlight of the goblin slaying party's first night was drinking Dwarf's fire wine and eating Goblin Slayer's cheese. 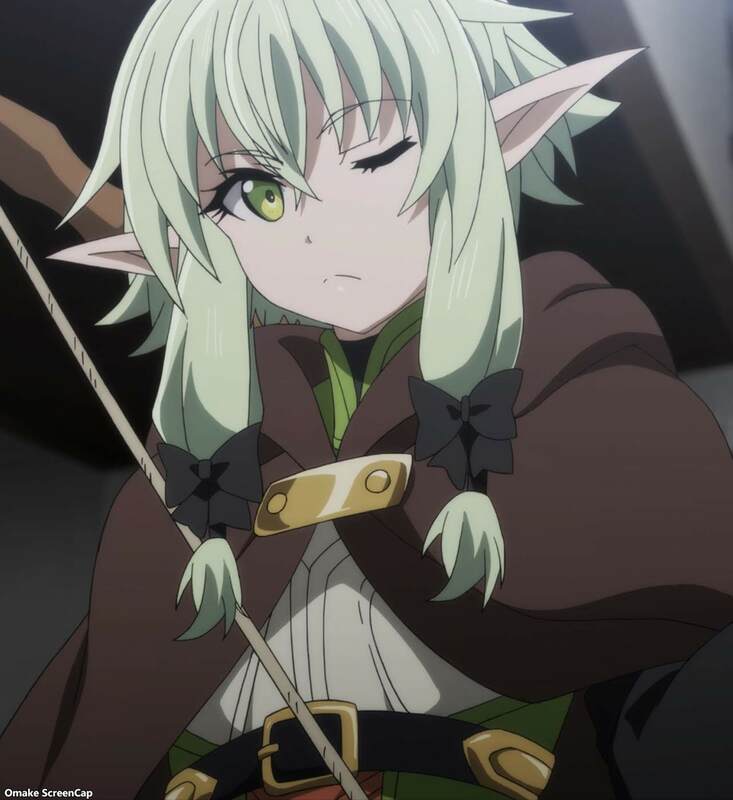 Of course Goblin Slayer got the cheese from Dairy Farm Girl, and of course a "young" two thousand year old High Elf is too much of a lightweight for fire wine. 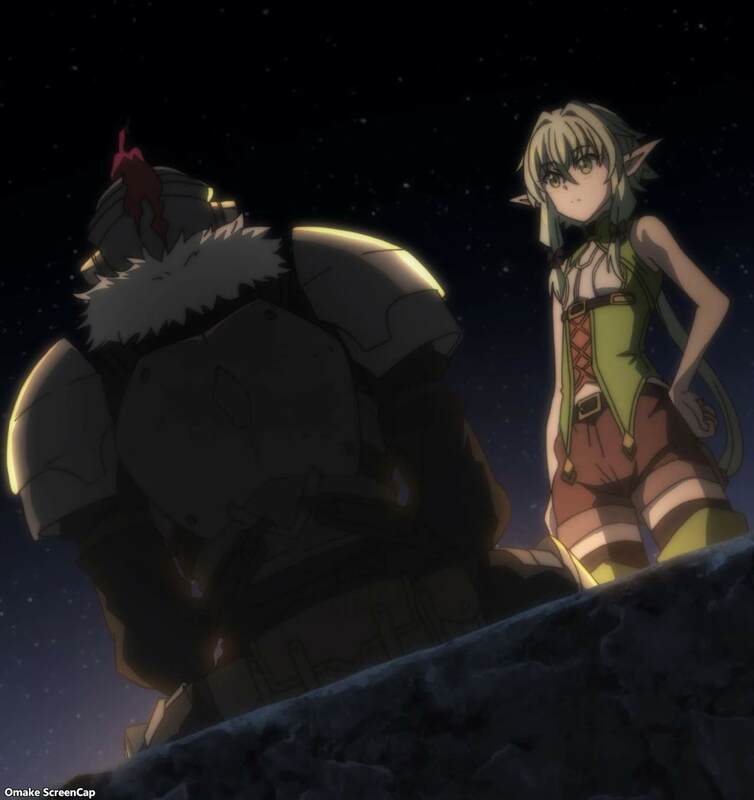 That was a nice slice of life episode, but we're getting back to slaying goblins very soon.